Each Demonstration Kit consists of 2x Demo Boards with USB connection. The SIGFOX Ready™ Demonstration Kit is designed to make it easy for the user to evaluate the module, develop an application and quickly build prototypes. 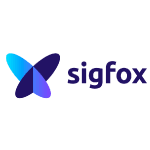 SIGFOX Ready Class 0: Best radiated power. Device will work perfectly well in all covered areas, indoor and outdoor.